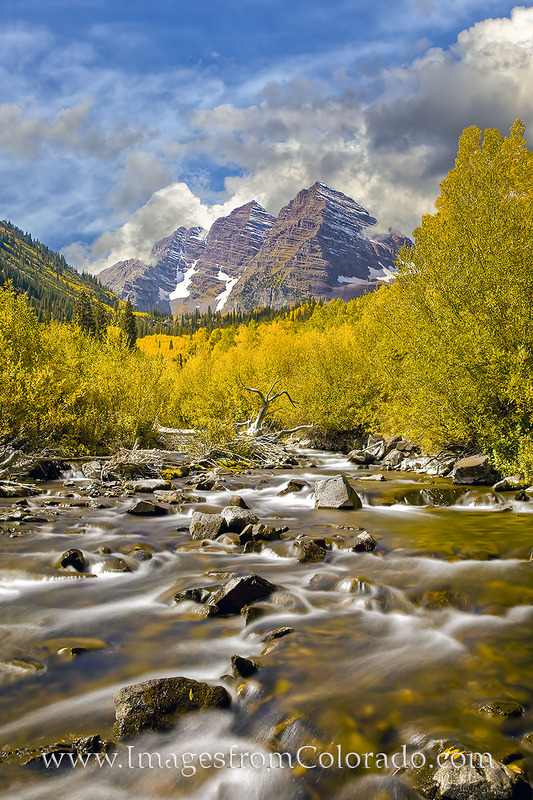 With golden aspen trees spread across the landscape, Maroon Creek flows down from the higher elevations. In the distance, the Maroon Bells rise into the cool fall air. Photo © copyright by Rob Greebon.